It seems like a lot of Paulo Sorrentino’s work is steeped in the truth that it doesn’t matter what age you are, because the grand narratives of life seem to more or less remain the same. At least that’s one of the complex takeaways from Youth, the latest Competition entry from the Oscar-winning Italian auteur that was met with a mix of loud cheers of bravo and candid bellows of booing this morning, if that means anything at all (it doesn’t). 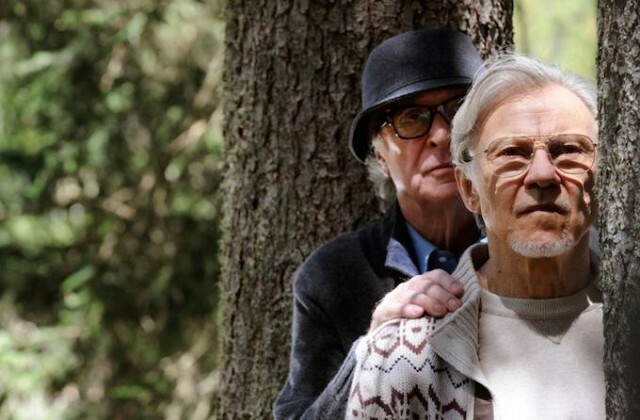 In a lot of ways, Youth feels like it is set down the slopes from Olivier Assayas’ Clouds of Sils Maria, to be specific, except that Sorrentino’s film is philosophically up, up, up way higher—and shining a little brighter—on the dichotomies of life, in terms of aging and art and what it means to live. I mention Assayas’ film because Paulo Sorrentino’s sumptuous Competition entry feels like a continuation of its themes—but also certainly images, as both pictures share the same sweeping valleys and Swiss mountains that visualize the highs and lows of our existence. Youth unfolds at a fabulous retreat at the foot of a mountain, and it’s where we begin. Opening with a beautiful rendition of “You’ve Got The Love,” a song photographed up close on a rotating platform with audience members in bokeh focus, this ditty is one of many nightly entertainments that Sorrentino’s characters are privy to each night, including a cast of Michael Caine, Harvey Keitel, and Paul Dano, each of them playing an artist in a state of flux (with an additional cameo from a brief-but-brilliant Jane Fonda). The most reflective of the trio is Michael Caine, portraying a wry—though not very spry—composer who is known primarily for his “Simple Songs,” a collection of melodies written for his now-invalid wife. His daughter-turned-assistant (Rachel Weisz) has anxieties of her own in the shadow of her famous father, who despite a career of excellence as a maestro, his most basic work is also his most popular. It’s a reality he seems to have gotten over, but Paul Dano hasn’t, as he’s bitter that his filmography as a character actor is best known for “Mr. Q,” an iconic robot from what sounds like a meaningless action film. He sits quietly in courtyards trying to ignore this as he studies his fellow guests for an upcoming role (eventually revealed in a hilarious, bizarre gag). Meanwhile, Harvey Keitel’s aging screenwriter—potentially a hack—is trying his best to crank out an ending to his latest script, the premise of which sounds like a middling Sundance dud. He sits with his team of younger scribes pondering the ending, wink-wink, and Sorrentino builds the film around the delivery of these drafts. There are other instances of this kind of career-based ennui—a knock-out supermodel, for example, is a lot smarter than one character expects her to be—and the film mines and explores this theme with a cracking wit and a pang of sadness that was touched upon in Sils Maria, but not to this effect or poignancy. Or with imagery this evocative of the meaning. Because adding to the great beauty of Youth is the cinematography, as Sorrentino is one of the only filmmakers in this year’s Competition to, with every scene, remind us bombastically that cinema is a visual medium (Mr. Haynes and Carol being the other entry to do so). Featuring a commitment to engaging mise-en-scene throughout and a variety of framing decisions that are inspired (and certainly relevant to the subject matter), Youth never grows old to watch. Despite a few cracks at the medium itself (Jane Fonda steals the show at one point), this is a film that I found myself missing lines of dialogue from because I was so interested in the visual motifs of scaling and descending—a levitating monk, an earnest mountaineer, it goes on—and the dramatic facial expressions from the cast. If I learned anything from Youth, it’s not the art that is the most visible is the most meaningful. The art that is the most meaningful is the most meaningful, and that’s all that matters once we’re old and gray, lowered into the ground to ascend beyond the corporeal.